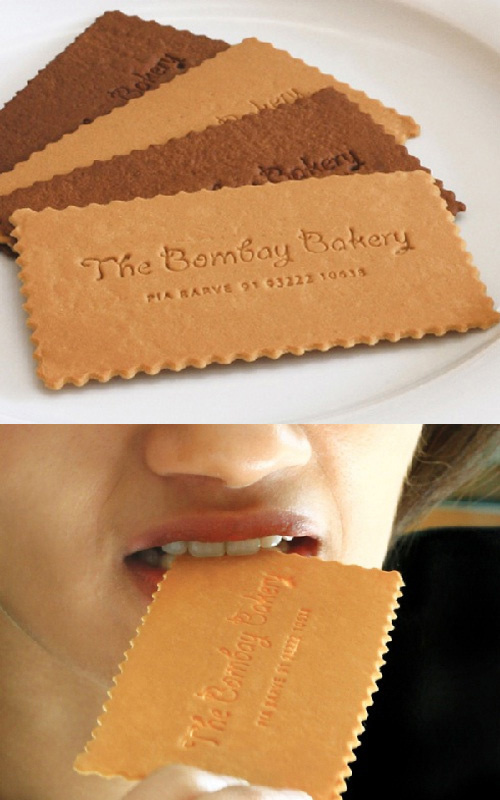 Cool concept for an edible card. Made for a bakery located in Mumbai India! Cards are 'baked fresh' every 10 day or so and then passed around at local cafes & delis to snack on and promote the bakery.